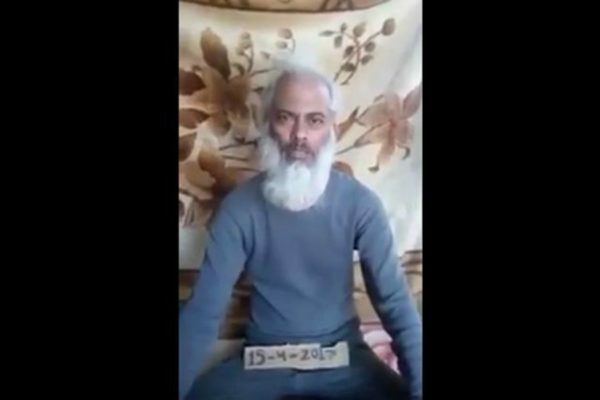 VATICAN CITY– Indian Salesian Father Tom Uzhunnalil, who was kidnapped in Yemen more than a year ago, in a video message pleaded for the Indian government and the Catholic Church to do more to secure his release. The video was posted on YouTube by the news site Aden Time May 8; the heavily bearded and very thin Father Uzhunnalil is shown seated with a cardboard sign in his lap with the date April 15, 2017. A similar video was posted in December. Father Uzhunnalil was kidnapped in Aden March 4, 2016, in an attack in which four Missionaries of Charity and at least 12 others were killed at a home for the aged. In the new video, Father Uzhunnalil began by stating his name and date of birth and thanking “my dear family people” for their messages of concern, which he said he has received. “My health condition is deteriorating quickly and I require hospitalization as early as possible,” he said.